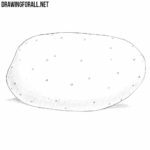 At the end of our drawing lessons, we often ask our readers to write to us and suggest topics for future drawing lessons. 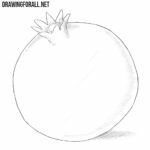 And under many of our lessons, our readers ask us to show how to draw cabbage. 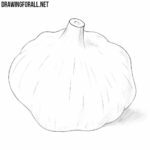 So, the lesson is ready, so scroll below to start the process of drawing. 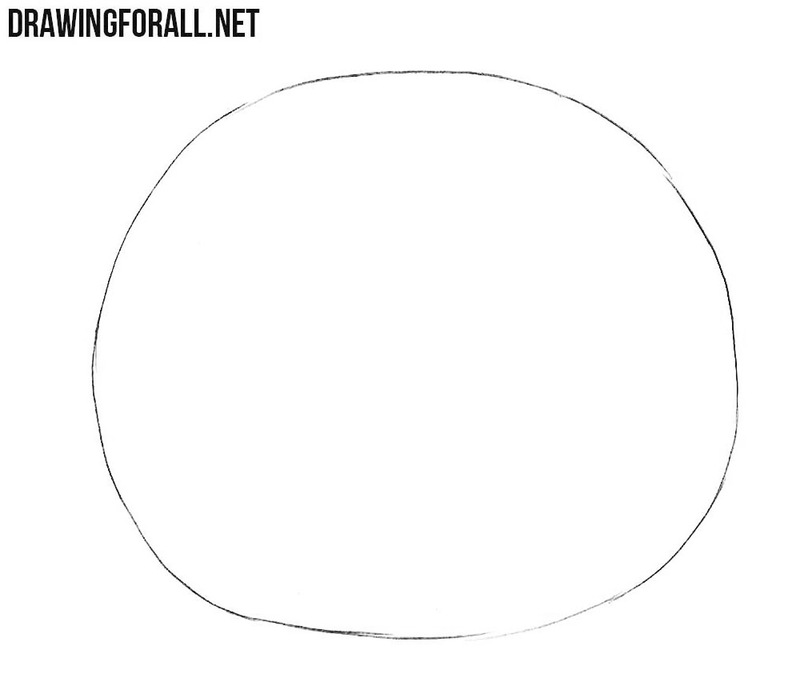 First of all, let’s sketch out the outlines of the cabbage in the form of an simple circle. Do not try to press too hard on the pencil in the first steps. With the help of long and winding lines draw the outlines of the leaves. 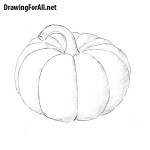 Note that the leaves should be quite uneven and different from each other. Let’s give our cabbage a more finished look. 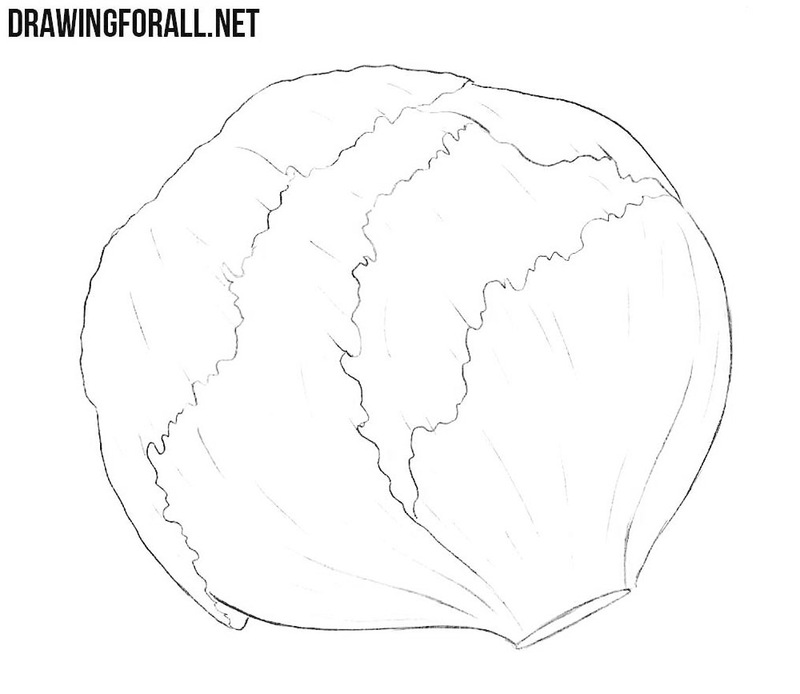 To do this, we will draw out the whole cabbage with clear and dark lines and remove unnecessary lines. Now let’s make some final touches. 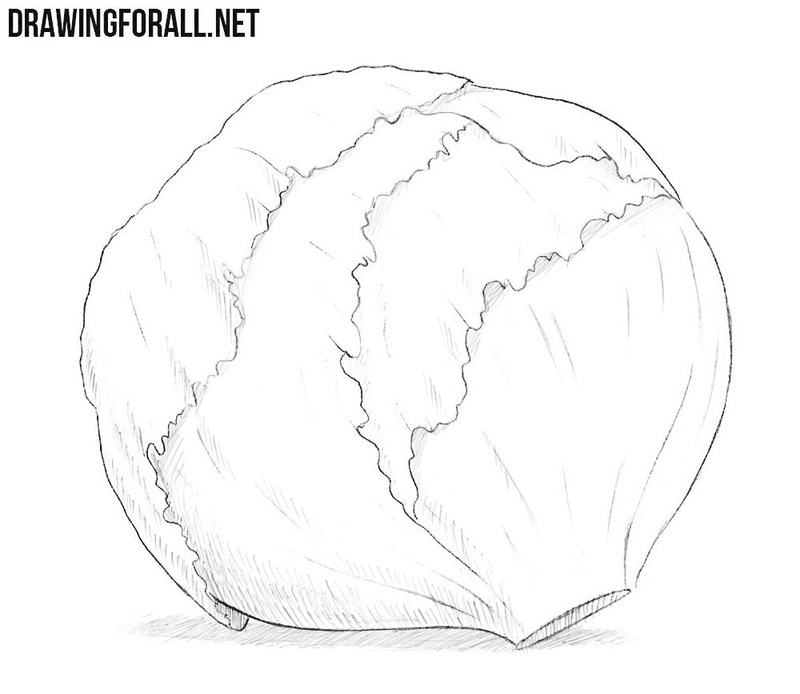 With the help of dense hatching we will draw shadows in the lower part of cabbage and draw a cast shadow on the surface on which the vegetable lies. 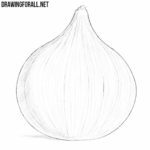 We cannot say that all the drawing lessons on our website are simple, but the tutorial about how to draw cabbage was definitely very simple. We think that each of our readers will be able to cope with this lesson, but if you suddenly encounter problems or difficulties, let us know about it.